Gallagher Staging can provide you with innovative graphic imaging solutions, transforming any production or event, making it more aesthetically pleasing. 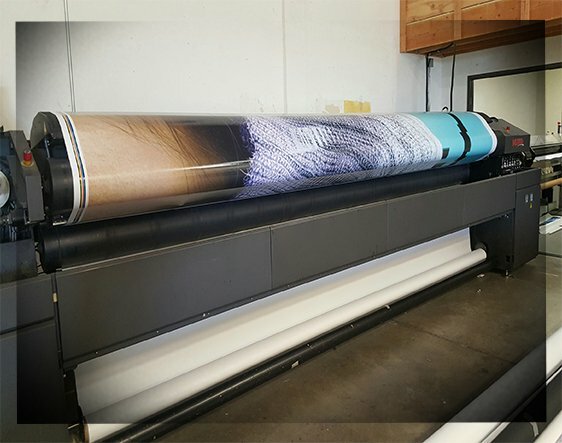 We offer in-house, wide format printing methods that are the best in the industry. Our equipment and materials are professionally crafted to ensure a flawless finish every time. Our quality backdrops can transform any event, making it more aesthetically pleasing. We offer in-house, wide format printing methods that are the best in the industry, and are always fire retardant (F.R. or I.F.R) meeting marshall codes and regulations. Each digitally printed backdrop is accompanied with burn samples and flame certificates, putting our clients at ease. Truss Banner Structures are used to support and accommodate soft goods, scenery, video, and audio to ensure your display is recognized for premium visibility. Big Time Digital’s support structures are unlike any available on the market. We take each project into account, customizing a truss design around your digital printing needs. Various shapes, sizes, and angles can be applied, creating a memorable and unique display. Our carpet options are endless. Big Time Digital can supply and install carpeting for red carpet events or cover thousands of square feet, transforming a dull foundation into a sophisticated space. We offer a wide selection of carpeting in different colors, styles and textures (including astro turf) that can be applied over stairs, decks, risers, and more.